Simply Cellular® anti-Human Compensation Standard | Polysciences, Inc.
Used in conjunction with hardware or software to remove spectral overlap from fluorochromes into secondary fluorescence detectors of a flow cytometer. Flow cytometers are designed to have a primary detector for each fluorochrome label (e.g. FL1- FITC, FL2- PE, FL3- PE-Cy™5). 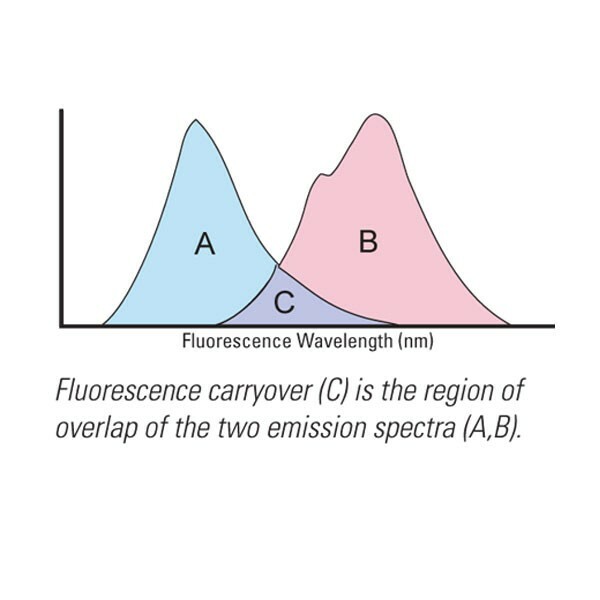 Fluorescent signals emitted by fluorochromes can bleed or overlap into the secondary fluorescence detectors. The Simply Cellular® Compensation Standard is a mixture of 2 populations of microspheres that have the ability to bind human monoclonal antibodies at high and low capacities, respectively. The microspheres are supplied in a sterile-filtered, pH buffered PBS solution containing surfactant and preservatives. As the operator labels these standards with the same antibody used to label the cell samples, the standards will exhibit spectral properties that closely match the cells being analyzed. For more Flow Cytometry Resources, visit the Bangs Flow Blog.